Lean on Russia and a Film Partly Filmed Anywhere But! On entering the David Lean blogathon I was unsure as to which of his many movies to review (as is my norm). I finally plonked on Dr Zhivago (1965). This after remembering Darlin’ Husband said part of this movie, was filmed over here in Finland, near the Russian border. On research I found this was true (as Darlin’ Husband is prone to wind me up, and he hasn’t for a while). Finland is reported to be seen in many of the railway scenes, the march of the refugees and much of the winter backdrop in the film. All these illustrated in the bottom trailer. Although made more recently. I personally feel this trailer is not as charming and informative as the original one above. The film also more remarkably filmed in Canada and Spain with marble used as snow in the latter. These were locations used as book of the film, was banned in Russia at time of filming. It wasn’t just Dr Zhivago where Finland stood in as “Russia” as many movies were filmed here at this time and later. Both the Million Dollar Brain (1967) and Gorky Park (1983) were also filmed in Finnish towns. This as the buildings here are quite similar to Russian architecture and due to the then Cold War restrictions. One of the first films made after the Cold War being The Russia House (1990) and in TV, interestingly Dallas (1978-91). The former reviewed HERE but the latter another story for another day. Dr Zhivago is one of those lavish, hours long epics David Lean is so famous for. With this film over 3 hours and 20 mins long. And it also has the claim to fame as my gran’s favourite film with her no 1 crush, the always charismatic Omar Sharif in the leading titular role. With his good looks and lovely accent, he’s the equivalent of that young Helmut Berger in Dorian Gray (1970) for me (but hearing Berger’s voice, in Dynasty (1981-89) as he was sadly dubbed) and Outlander (2014-)’s Sam Heughan for many of you. So in the first truly random review trailer, I’m looking back at both these film’s previews…and first briefly the film plot. Dr Zhivago tells the tale of KGB Lieutenant General Yevgraf Andreyevich Zhivago (Alec Guinness) looking for his half-brother Doctor Yuri Andreyevich Zhivago and Lara’s daughter. Meeting a young woman, Tanya Komarova (Rita Tushingham) who he believes may be her, he tells her parent’s life stories. The film telling of pre-World War I Russia to the end of the Russian Civil War. Over this time Yuri (Omar Sharif) – an aspiring poet – trains and becomes a doctor. Lara has a tempestuous affair with Victor Ippolitovich Komarovsky (Rod Steiger), but marries Pasha (Tom Courtney), an idealistic reformer who becomes a more intense socialist. Yuri marries Tonya (Geraldine Chaplin) the daughter of a family friend. Over the years Yuri and Lara (Julie Christie), cross paths many times, and in time they fall in love and start an affair. But its more complicated.. The 1965 trailer is like many trailers made in the 1960s with groovy font, and one of those trailer voices (I miss so much) masterfully mansplaining the film. And the music the more than memorable Lara’s theme and tells you about the book. This a stark contrast to the newer arty farty version which should have these attributes, but doesn’t for some inexplicable reason. The newer tbh kinda lost my interest too quickly after Alec Guinness says he’s looking for someone.. but not saying who so could be anyone really. The older trailer however captures the ambience easily showing the time, the history and the romance. This opposed to the more bland newer one which doesn’t seem to encompass anything but a kinda of confusing mess of these three factors with a more sterile font and a few random quotes. 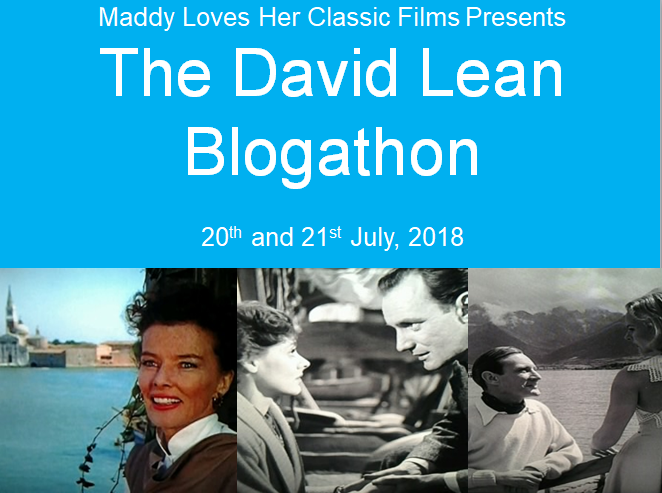 This is the second of two trailer reviews added to Maddy Loves Her Classic Films David Lean Blogathon. Other reviews with this cast include Geraldine Chaplin in Chaplin. Omar Sharif stars i n my post on Top Secret. Julie Christie and Tom Courtney both starred in Billy Liar a film that was discussed in my tribute to Rodney Bewes. Alec Guinness stars in my post on Bridge on the River Kwai. Rod Steiger stars in my Mars Attacks and Columbo reviews. Will definitely check your post out! Which trailer do you prefer? I had butterflies in my stomach the first times I watched this film because I couldn’t wait to see where the film would go next. This film is a tragic love story that is exceptionally directed by Lean with a marvelous cast. Rod Steiger made the character of Komarovski come alive and gave one of the finest performances in the film. Though the run-time is long, I never got the impression that the film dragged on in any way and never once looked at my watch. This is a brilliant movie, the likes of which will probably never be made again. Well said! Its sad they don’t make films like this anymore, this was one of the first epics I watched as a kid and as you say it feels so timeless to watch. Zhivago is not a movie to be taken lightly. I feel like you almost have to be alone for a weekend with the phone off to really enjoy it. You know, it is worth it. I don’t believe I ever thought about the locations previously. Kind of cool that Canada has a hand or foot in there somewhere. Such a stunning and beautiful film to look at. It’s not my favourite Lean film, but it is worth watching as one of the last truly great epics. The music and photography are gorgeous. I think even if someone hasn’t seen this one, then they’ll probably have heard the theme music at some point in their life. Whats your favorite of Lean’s movies? Its sad the theme wasn’t used for the newer trailer. Is the newer one the Sam Neill one? I have so many favourites from David Lean. The Passionate Friends, Lawrence Of Arabia, Brief Encounter, Oliver Twist and Summertime are some that I really love. I also think that Ryan’s Daughter gets a hard time (it has its faults for sure)but it isn’t as bad as some people make it out to be. Both are different trailers from the 1965 version, but one created more recently. Really not as good as the original. Be interesting to hear your thoughts on them both. I’ll have to have a look at them. I remember watching the Sam Neill version and not really enjoying it. Not seen that one in full, but from the clips I’ve seen there can be only one!